A young storyteller challenges the old master when things take an unexpected turn. Synopsis: A young storyteller challenges the master on the Irish west coast, with unexpected results. A twist on the traditional story 'The Gingerbread Man.' 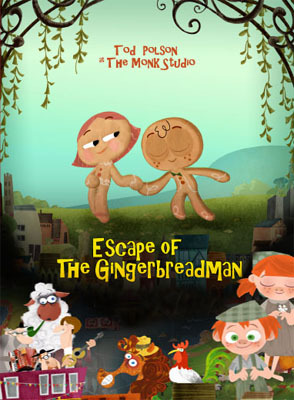 The film version is narrated by Irish comedian / actor Jon Kenny, with music by Waterford's own traditional Irish band 'Rattle the Boards,' 'Escape of the Gingerbread Man' is a mad romp through the countryside. As well as a subtle commentary on the changing traditions of of oral storytelling.